...Asymptote is a rather loquacious four-year-old. Let the festivities commence! 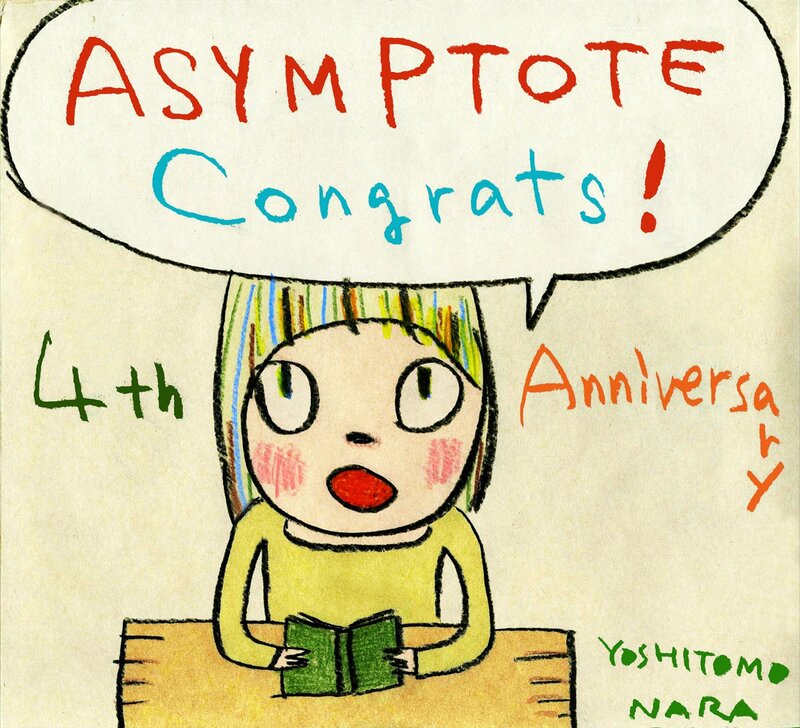 That’s right—your favorite online translation journal turns four this month and world-class writers, translators, and artists like Yoshitomo Nara, who especially made us the drawing above, will be helping us celebrate in a grand way! 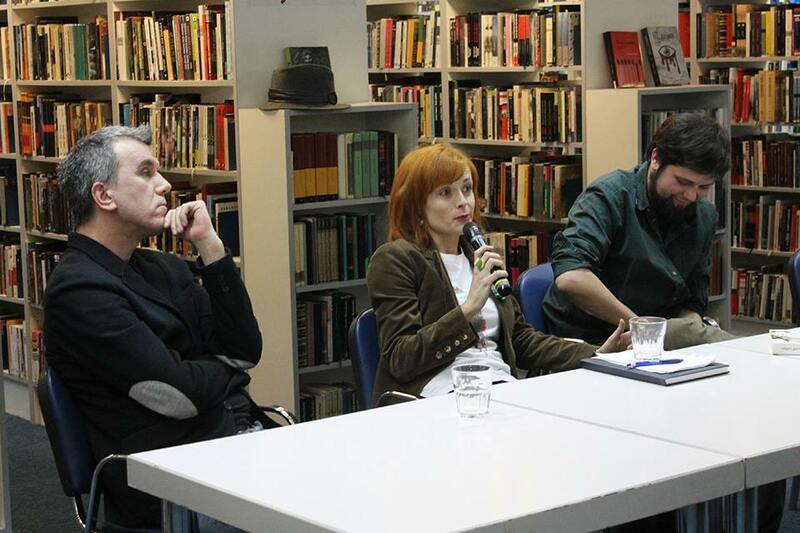 From now till January 29, we invite you to join us here on the blog as we showcase our proudest achievements and commemorate the most important projects in our four years of promoting world literature. Our brand-new Winter issue then goes live on January 30. Naturally, you can celebrate our birthday virtually (ICYMI: one need only dig through our archives or explore our world map), but if you’ve got a hankering for a real-life Asymptote meetup, toast one of Entropy‘s 20 Best Journals of 2014 (the only world literature journal on the list!) alongside real-live Asymptote fans, contributors, and staff members at our New York event this Saturday, January 17. Tickets are $10 in advance and $12 at the door—it pays to think ahead. And if you’re feeling generous, give the gift of literature to yourself and the rest of the globe by donating to our all-important Indiegogo campaign. As of this moment, we’ve already collected $9,158 from 116 donors (thank you! ), which means we have $15,842 left to fundraise before our campaign ends on January 29. Our Chinese branch has also pitched in with a fundraising campaign of their own, collecting ¥7035 (or $1,137) from 114 donors so far. If we hit our goal of $25,000, we will be able to continue operating beyond January 2015 and keep bringing you the best world literature has to offer.